As we wrap up Veteran's Day weekend, I wanted to share this quote from Douglas MacArthur. 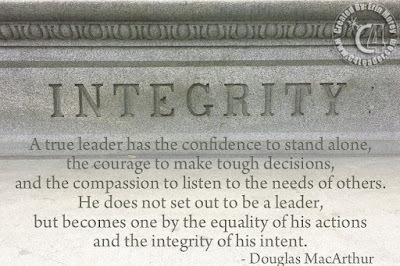 Integrity is a key asset of a leader, and yet so easy to lose, very similar to Trust, a leader's most fragile asset. When Integrity goes Trust follows. So, as we recognized our veterans this weekend, I bring you a quote from a great American General, and ask are you maintaining your integrity? Are you doing what you say you would? Can your team count on you to make tough decisions and trust you to listen to their needs? Leadership isn't easy, but it is critical to success. 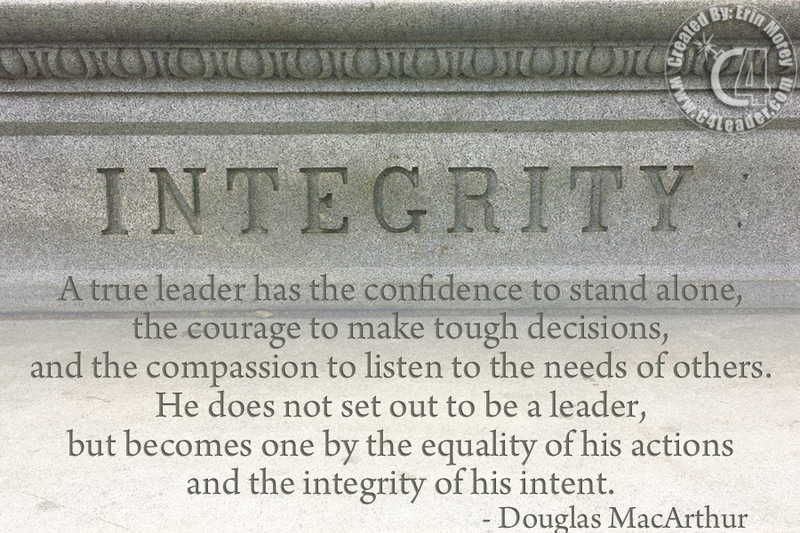 Can you keep your integrity? Can your team trust you to?